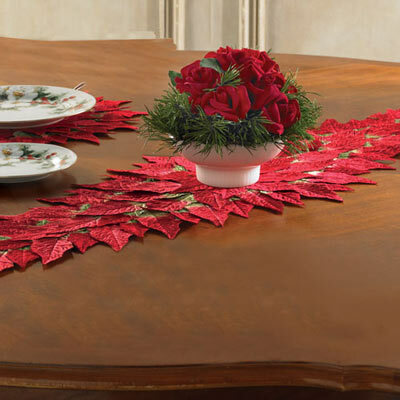 Brilliant red polyester leaves brighten your table! Layered, dimensional designs are individually stitched. Spot clean. Imported.